IG East London End of Tenancy & Move out Cleaners | Quality Property Care Ltd.
To have the best move out cleaning in East London IG, call 020 3746 4287 and ask for a free quote from our staff. The client support facility is available so you can get in touch with us after regular working hours for info or bookings. The service is appropriate for the cleaning of both commercial and household properties, our workers do not leave your home until the job is done. As this is not an hourly based service you are going to be charged based on requirements such as room size, amount of rooms, what you want cleaned and so forth. Time is not a constraint for our team nor is the location as we work all trough the entire East London IGregion as well as the Greater London region. The service itself is ideal for property owners, tenants, building & property managers, with special rates for each one, depending on the capacity of the order. 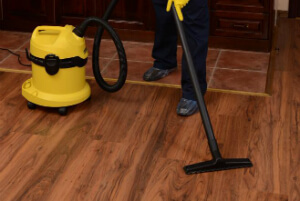 We clean the whole property or certain rooms, with no constraints on where and what we can clean. We thoroughly clean the kitchen area, bath, hallway, stairwell, living room, the furniture, all over the doors, on top of the doorframes, in your sleeping rooms and so on, all done skillfully and with no harmful chemicals. We call it fast and furious, because our great quality and outstanding service is carried out by hard-working, proficient, professional end of tenancy cleaners. They start the procedure with an up front assessment of the property. It enables us to organise your end of lease cleaning service in a most proper way. If you require to, we can set up an urgent service, as well. Furthermore, we deliver all the cleaning detergents and equipment. You don`t need to buy anything, which is yet another opportunity to make some smart cost benefits. All end of lease cleaning chores from Quality Property Care Ltd. are carried out with risk-free and children-friendly cleaning detergents with zero chemicals. Obstinate and old discolorations are eliminated by hand, if needed. Gentle materials are treated with special modern risk-free approaches. It is heroic to handle the entire end of tenancy cleaning on your own, but it is certainly not the maximum choice at all. Instead of losing time in scrubbing, rubbing and sanitizing, you can deal with your removal: steadly and step by step, with no pressure by the time. Employing professional end of tenancy cleaning service from Quality Property Care Ltd. in East London IGis also more reasonable as to the price tag. Why worrying with aggravating cleaning, when moving out is delivering so much stress? The affordable solution is here: superior end of tenancy cleaning service that costs almost nothing! The greatest and the most persistent end of tenancy cleaners in town are here to assist you in this hard and dirty situation! So, get ready to have your deposit back without any concerns, by reserving our professional end of lease services provided by Quality Property Care Ltd. now. Don`t hesitate to make a an appointment for our high quality end of tenancy cleaning service. We now have special discount rates on early booking! Receive a free quote today! Dial 020 3746 4287 right now - we are adaptive enough and understanding and we will book you in a most comfortable for you time!